Open House Sunday June 11 1:00-2:30. This 3 bedroom 2 bathroom bi level home features hardwood floors, eat in kitchen with huge picture window over looking the backyard. Update 4 piece main floor bathroom (2017). The fully finished rec room features an oak bar roughed in plumbing for a sink, updated 3 piece bathroom (2015). 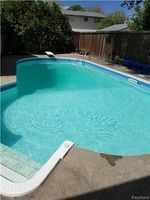 Updated windows, high efficient furnace, central a/c, inground pool, 24 x 24 220 amp service garage, fridge, stove, dishwasher, washer & dryer included. 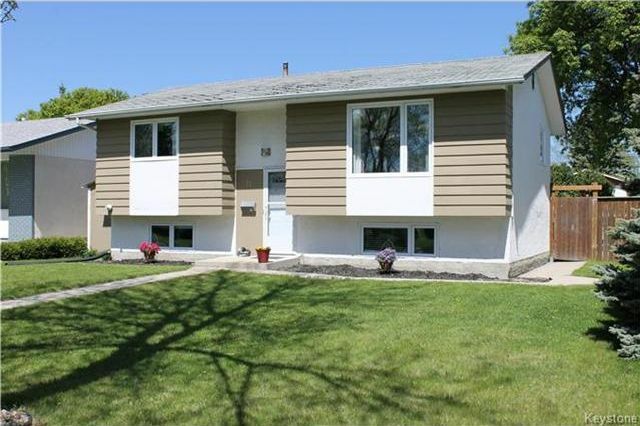 All of this located on a quiet Bay in the heart of St. Vital, close to shopping, schools, transit and park! cctv system and cameras included.